MASSAGE CHAIR CUSTOMERS PLEASE READ BELOW. Massage chairs(except iJoy), Perfect Chairs, Loungers, mattresses and some other larger items can not be shipped UPS/Fed Ex Ground and are shipped Freight Ground. These orders will not be trackable using the form above. The freight carriers will call to arrange a delivery time with you. 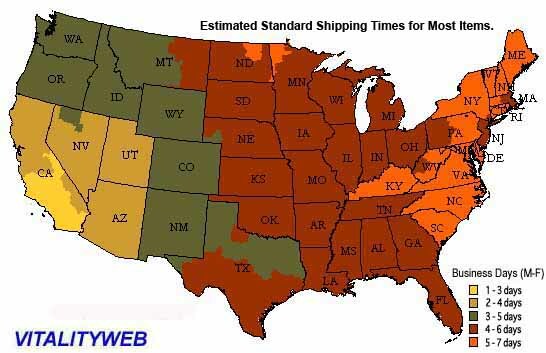 You can use the Estimated Shipping Times chart above to get a general idea of how long the shipping will take and when you will get a phone call to schedule your delivery. iJoy Massage Chairs and PC-4 Perfect Chairs generally ship FEDEX GRound within the USA. iJoy Massage Chairs ship UPS to CANADA.